Move over road rage, there's a new psychosis in town. According to web hosting firm 1&1 Internet, slow web pages are still a major issue for 78% of internet users, prompting bouts of 'negative emotion'. When it comes to broadband speeds, many ISPs would have you believe we’re on the information superhighway. The reality, it turns out, is that we’re on the dodgy, dirt-track byway. The average Briton wastes nine minutes every day, or two days a year, waiting for slow websites to load. And here’s the really sad bit: compared to the same research conducted five years ago, just one lowly minute a day has been sliced off the wasted time clocked up by surfers. On average, 31% of the 1559 Britons surveyed admitted that web-related stress or anger has increased over the past five years. Half believe that websites have either not improved in speed or have actually become slower. 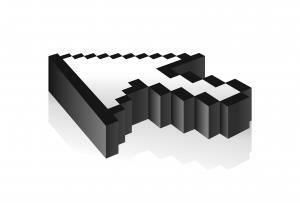 Only one in four web users believe that the websites they use are getting faster each year. And this isn’t just empty chatter. Some 42% of men and 35% of women have decided not to use a company again as a result of an overly slow website. That’s a lot of lost business. And you can't even lay the blame squarley on the ISP. The issue could lie with various parties: the service provider, the mobile internet connection, or even with the consumer, hanging on to an ancient dial-up. To add insult to injury, it seems that Britain is worse affected than other European nations. In Spain, only 60% of web users complain of slow running sites, and the average time wasted is slightly better at 8.5 minutes every day. In Germany, only 44% complain of slow loading times and the average wastage stands at just 5.5 minutes per day.